Apple Corporation has developed its latest product called iPAD, which is now ready to hit the market soon. Just like other Apple products, iPAD has gathered a high level of expectation among the customers because of its high end feature and performance. Apple’s iPAD is said to be one which enhances the user to experience the web, photos, videos and emails in its best way. iPAD has a large multi touch screen that brightens your day at ease. The device is so sleek and can be carried very easily.iPAD’s 9.7 inches wide screen allows you to see everything in the way it looks like and has up to 64 GB storage capacity with 10 hours backup battery. By twisting the iPAD, the image automatically changes its position there by making you feel comfortable with what you are up to. Browsing through the E-Mails is one easy task in iPAD and when you want to reply for any E-Mail, immediately comes the keypad on the screen for you to type. This is something which really triggers my interest towards iPAD. The next interesting feature in iPAD is the iBooks. The iBooks is one which allows the user to download the books they like,store and read them when they want to. This feature is designed in such a way that gives you the same feeling as when you read the original book in hand. Another feature is the calendar which is just similar to the calendars in your dairy which saves every note and every event for that day. Other than these , you have other features like iTunes, App stores, Maps, notes , contacts , videos and YouTube. 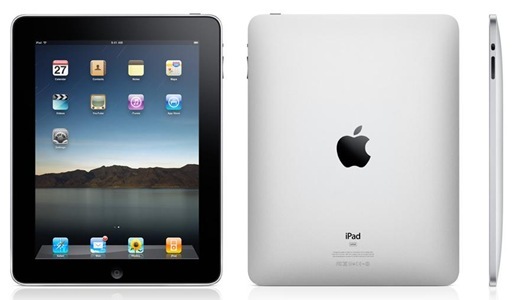 iPAD will be soon in market with its price starting from just $499. The Apple corporation is awaiting the authorization from the federal communication commission to release its latest gadget and so am I waiting for the product to be released.